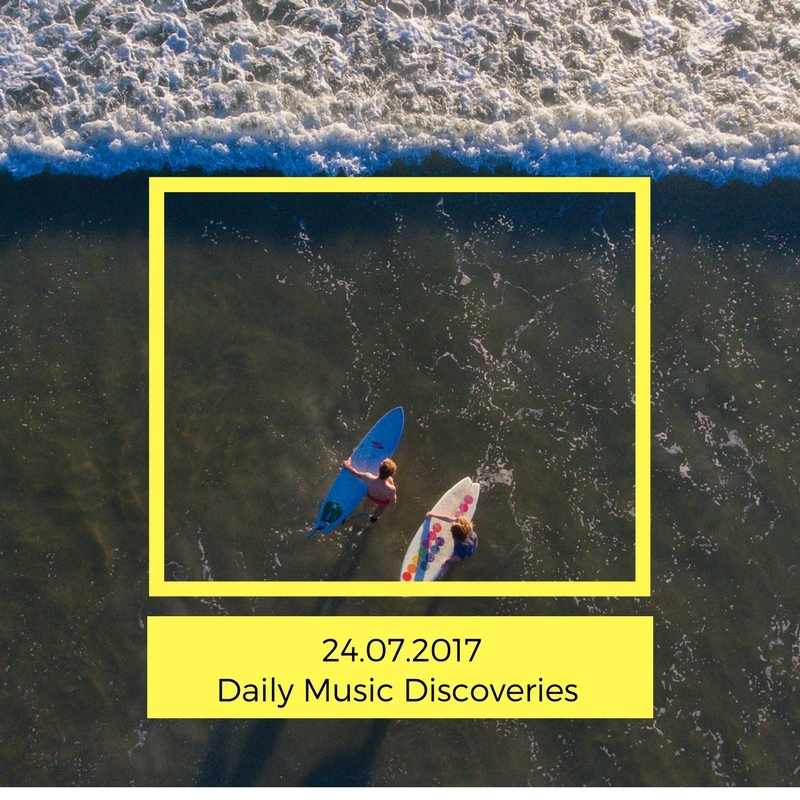 Daily Music Discoveries 24.07.2017 | Give it a spin! 5 handpicked tracks to fulfill your Daily Music Discoveries! giveitaspin for The Ultraverse, Hearty Har, Margot Polo, LNLY and Cara Hammond. The Ultraverse is a new electronica act from the Netherlands. Producer Huub van Loon is inspired by ground breaking artists like Trentemoller, Moderat and Bob Moses. Van Loon loves dark, spherical, electronical music. His love for pop songs is always on the surface. This combination is the foundation for The Ultraverse. The act is a 3 man formation with Pim Mulders on guitar and Jos van Loon as live producer. Huub plays synths and does live vocals. On stage you will find a lot of vintage synths, a combination of music that makes you dance and makes you listen at the same time through strong hooks and lyrics. Hearty Har is a psychedelic rock band from Los Angeles, California, formed in 2012. The band consists of old friends Shane Fogerty (guitar/vocals), Tyler Fogerty (guitar/vocals), and Will Van Santen (drums/vocals). More recently, the band was joined by Marcus Högsta (bass) and Jesse Wilson (keys).Hearty Har has come to be known for their exciting and raucous live shows, which blend modern psychedelia with classic garage rock and roll. Imagine a neon lightning bolt extending from the stage and reaching deep into your heart, down to your feet, then through the ground to the Earth’s core. Now you have an idea of Hearty Har’s live show. Funfact: great influences such as 50s Spook Garage, Joshua Tree, Psychedelia, Lore from the days of old and Folk from all corners of the earth. California-based indie pop act Margot Polo is the solo project of David Provenzano, singer/guitarist of Fialta and Sherwood. The concept was birthed in 2016 while Provenzano was promoting Fialta’s second full-length album, Shadow of a Drought, and playing drums for Sherwood’s reunion tour. Provenzano’s knack for writing infectious pop hooks was revealed on Fialta’s last two albums, with songs written or co-written by Provenzano seeing substantial radio and TV play and Shadow of a Drought reaching number ten on the Billboard Heatseeker’s chart. As a solo artist and producer, Provenzano leans even further into the world of the electronic power anthem, turning to 90s and early-2000s pop and R&B for inspiration while ditching any hint of the philosophical in favor of beach-friendly, tongue-in-cheek lyrics about West Coast living. Fusing a range of indie pop/rock influences, Sing Hallelujah describes the anxiety that marks our current age and a sound that channels Arcade Fire, Tame Impala, Phantom Planet, and Vampire Weekend. From the very first of seconds, you just know when you’ve listened to a track worth of many golden bars, sparkling up a change in the musical era. It took the low-profilers LNLY, 2 old Sony digi cams, 20 of their mates and 1 warehouse in South London to spin up this video. Feed Your Soul is the debut single from the thunderous Dance Collective and it just feels like Baz Luhrman’s favorite Sunscreen meets early Disclosure on the way! LNLY have undeniable mass and motion flowing to my heart and mind today. A bright humane experience and a post-modern dance classic anthem! I am LNLY, are you? Grab it here! 20-year-old singer-songwriter Cara Hammond’s first official single, No shares a strong message for women’s empowerment and the #NoMeansNo movement, which is portrayed brilliantly in the above video. Find the track on Itunes and Spotify! ‘No‘ is the perfect showcase of Cara’s distinctive, silky vocals and un-paralleled talent for songwriting. The song was inspired by a holiday to Prague, where Cara and her friends were dancing in a nightclub. Cara says, “We met some guys in there and we were all having fun, dancing together…but when we wouldn’t go home with them they became really hostile. It seems it’s a common problem that girls are constantly having to say ‘No’ in situations like this, and so many more. The song came naturally, and for me it’s an anthem for ‘no means no”’.